"To see the country by train is to consider the crux of the essential Italian dilemma: Is Italy part of the modern world, or not?" --from the introduction Travel writer Tim Parks's best-selling books on Italy have been hailed as "so vivid, so packed with delectable details, [they] serve as a more than decent substitute for the real thing" (Los Angeles Times Book Review). No "To see the country by train is to consider the crux of the essential Italian dilemma: Is Italy part of the modern world, or not?" --from the introduction Travel writer Tim Parks's best-selling books on Italy have been hailed as "so vivid, so packed with delectable details, [they] serve as a more than decent substitute for the real thing" (Los Angeles Times Book Review). Now, in his first Italian travelogue in a decade, he brings us a fresh portrait of Italy today through a wry account of riding its trains. 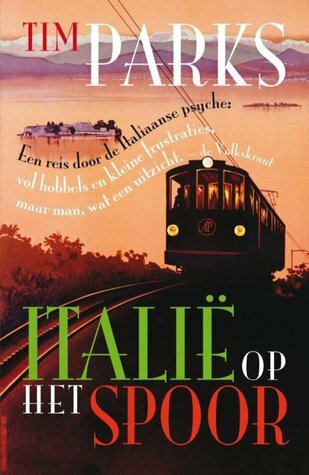 Whether describing his daily commute from Milan to Verona, his regular trips to Florence and Rome, or his occasional sojourns to Naples and Sicily, Parks uses his thirty years of amusing and maddening experiences on Italian trains to reveal what he calls the "charmingly irritating dystopian paradise" of Italy. For anyone who has ever been enchanted by Italy or dreamed of visiting, Italian Ways is a perfect companion.